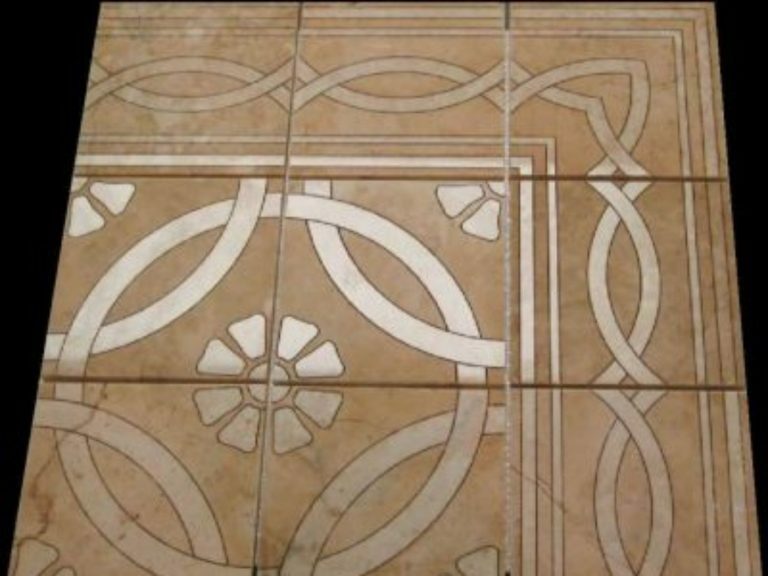 We can help you realize your etched tile and stone design ideas from classical and traditional to contemporary or rustic. Custom, specific graphical themes and special interests are welcomed. 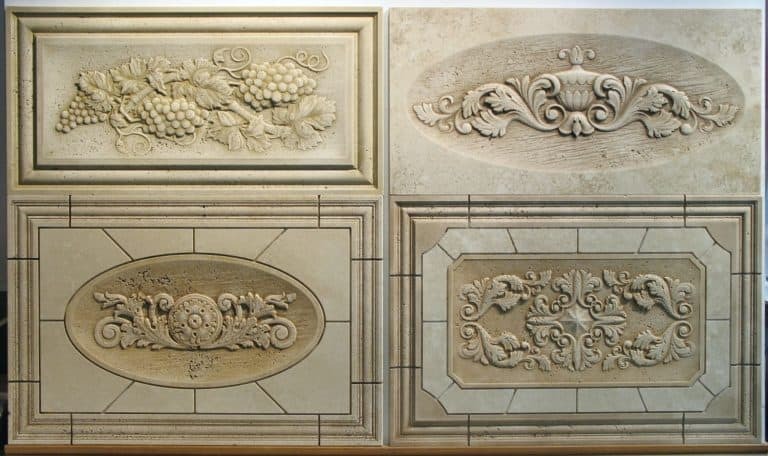 Relief carved stone panels are Ideal for applications where a dramatic focal point is desired such as custom kitchen back splashes, custom wall panels, wine rooms, fireplaces, lobbies and offices. 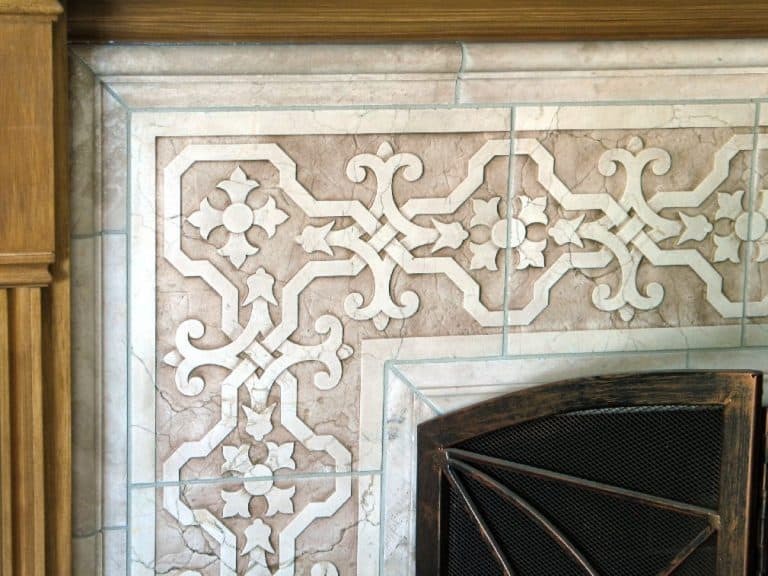 Exquisite carvings, simple borders or even subtle accents will give your fireplace the look you desire. 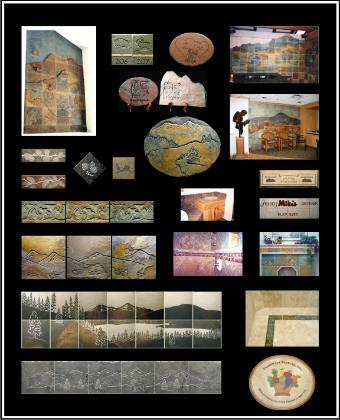 Create unique and one of a kind spaces in your log cabin, mountain home, restaurant or office. 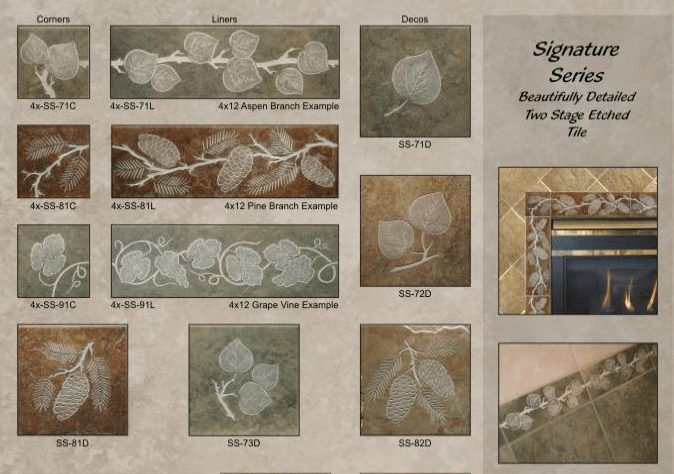 These exquisitely engineered natural stone designer panels are designed for fast simple installation. 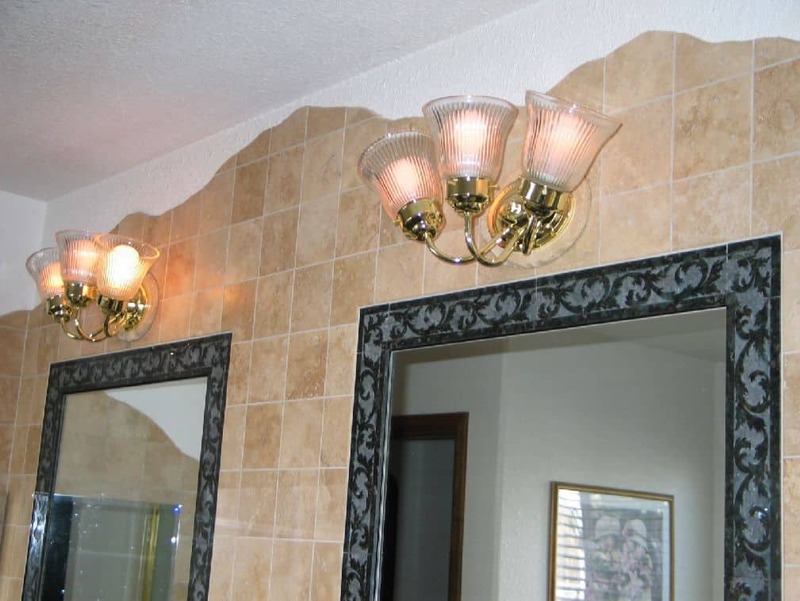 Install one solid tile panel and enjoy! 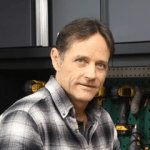 Precision fabricated pre- assembled for easy drop in installation. 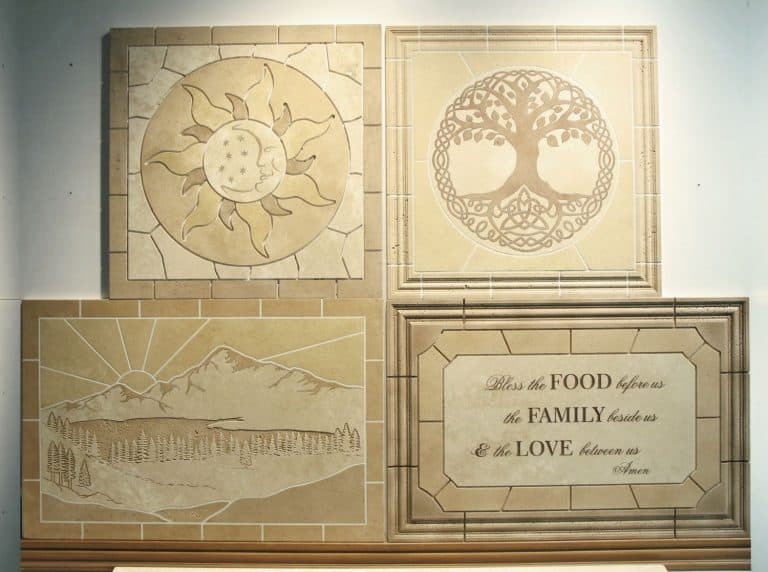 Custom stone moldings, graphics and monograms available. 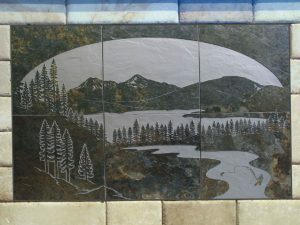 Find our growing collection of etched tile borders and decorative tile accents here. Our micro etched, micro kerf series provides a sharp inlaid look to each design element. 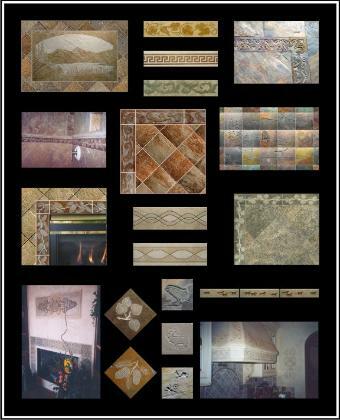 We offer a wonderful selection of all over patterns, running borders with matching corner units. 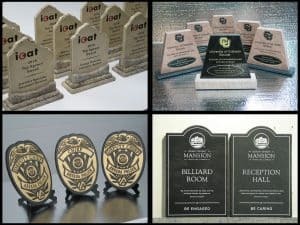 We can work closely with you to create custom and unique awards, plaques and signs. 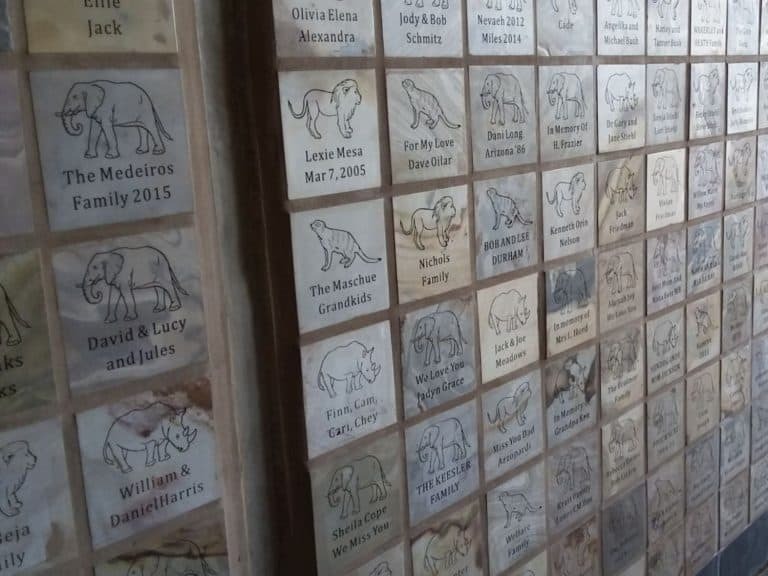 We can help you honor and give permanent recognition to those that contribute to your fund raising and donor tile programs. 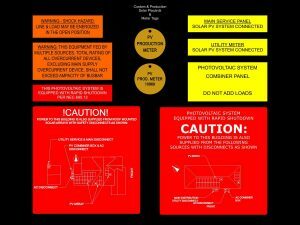 We offer custom, production, small run and prototype services. 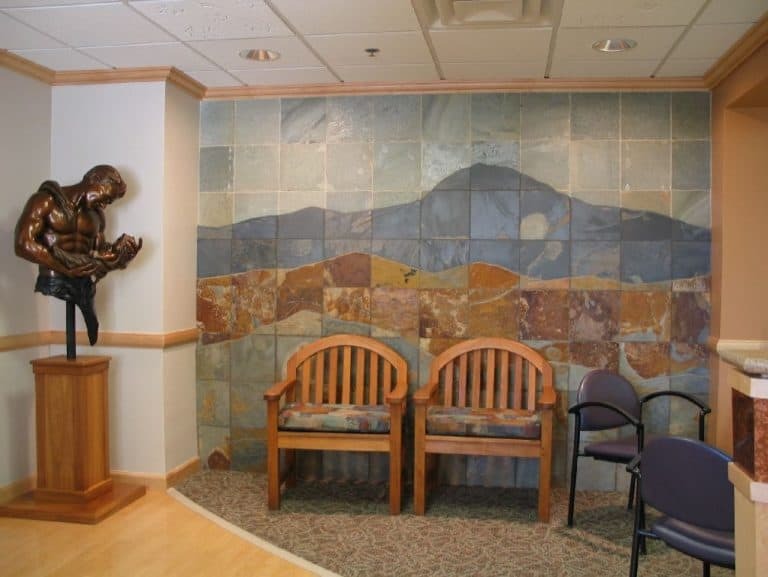 From small footprints to very large works of art we can create and transform a variety of tile and stone materials into your finished design. 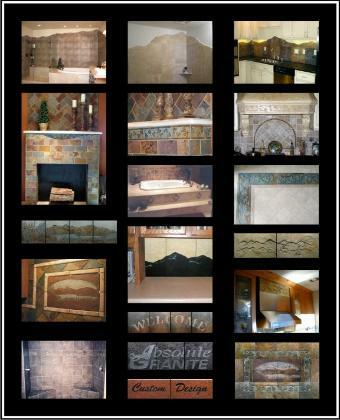 We can transform your logo into wonderful tiled murals and great functional promotional products. "Created to Bring You Wonderful, Personalized And Unique Design Opportunities." 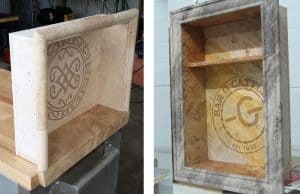 President - Artisan Fabricating, Inc.